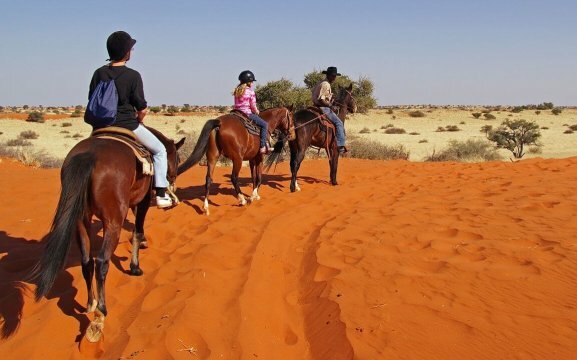 Bagatelle Horse Back Trails offers Horseback Safari in a Western style of riding. 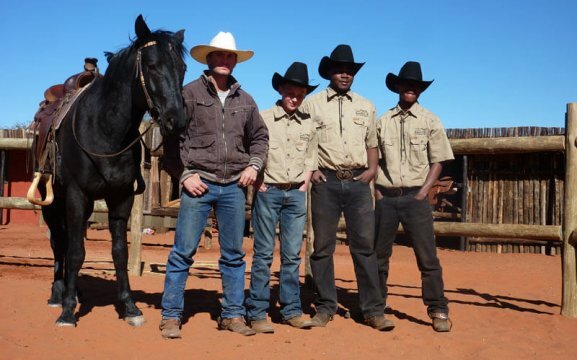 Variety of horses available, suitable for children, beginners, intermediate and advanced riders. 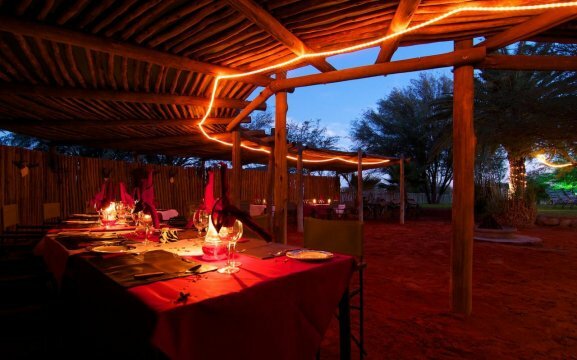 Enjoy the Kalahari’s silence in the mixed tree and shrub Savanna, amidst an environment of scintillating glowing red dunes and pristing wilderness, abundant with game and birdlife, on our well trained quarter horses accompanied by a trained guide. 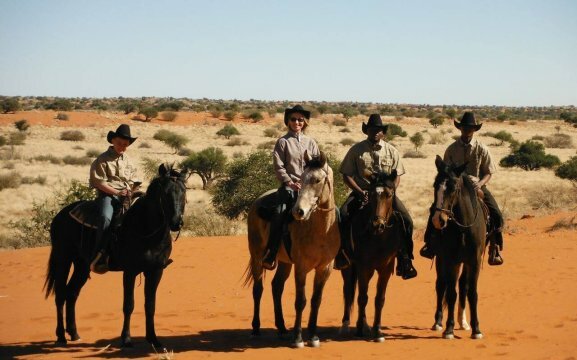 Overnight Adventure Horseback Trails in the beautiful Bagatelle Reserve. 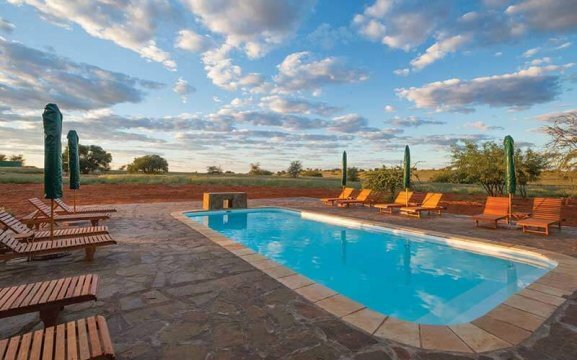 Bagatelle Kalahari Game Ranch offers comfortable accommodation all with luxury and quality finishes. 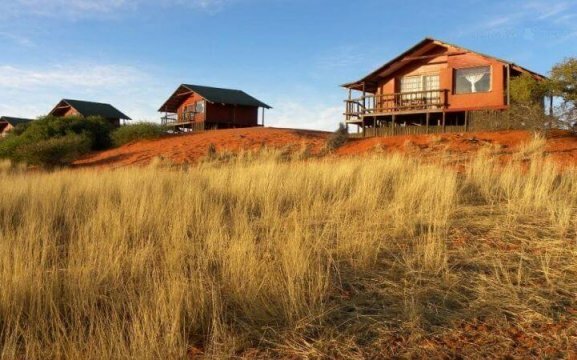 Some of the chalets are built on top of the Kalahari sand dune with unsurpassed views to the South-west. The other rooms have a thatched veranda with exquisite décor and equipped to exceed your expectations. Our main farmhouse features a reception, lounge, dining room, swimming pool, library and office, bar and wine cellar.